The Trustees of the University of Pennsylvania elected Gaylord Probasco Harnwell to the office of the presidency on 10 June 1953. 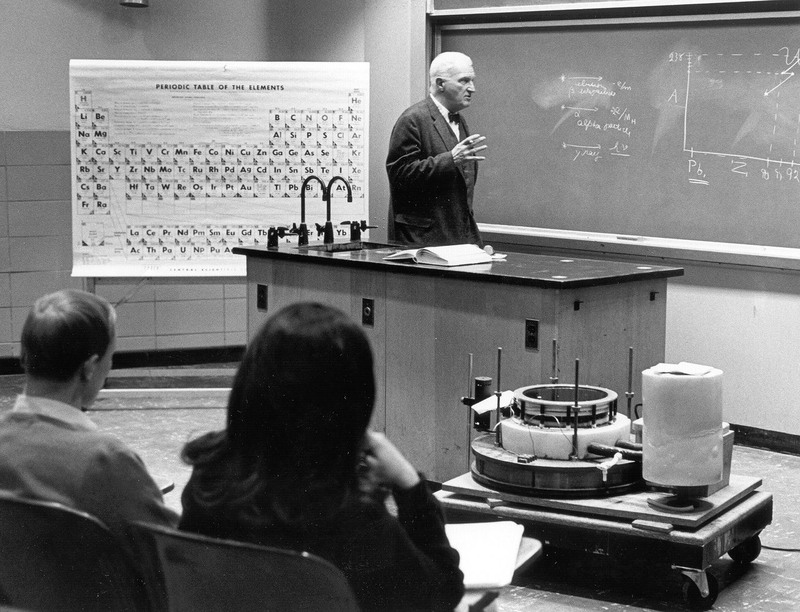 Harnwell had already served Penn for fifteen years as the Chair of the Department of Physics. The efforts of the Harnwell administration marked a key turning point in presidential strategic planning at Penn. Using Penniman’s educational survey of 1924 as a prototype, Harnwell launched an expansive and systematic evaluation of Penn’s educational practices that lasted for six years. Harnwell was also the first president at Penn to successfully achieve desired results from his capital campaign. Finally, Harnwell successfully reorganized the system of governance at the University, giving a larger voice to both faculty and student representatives alike. From the beginning of his tenure Harnwell made it his primary goal to conduct an educational survey of the University. In January of 1953, before he took office, the Trustees agreed to conduct a moderate assessment of educational policy, administration, and athletics. Both the administration and athletics were surveyed within the year; however the study on educational policy proved too complex to complete in such a short period of time. In 1953 the Subcommittee on Education organized pilot examinations for three academic departments. After the successful completion of these three pilot studies, both Harnwell and the Trustees called for a detailed study of the entire University. 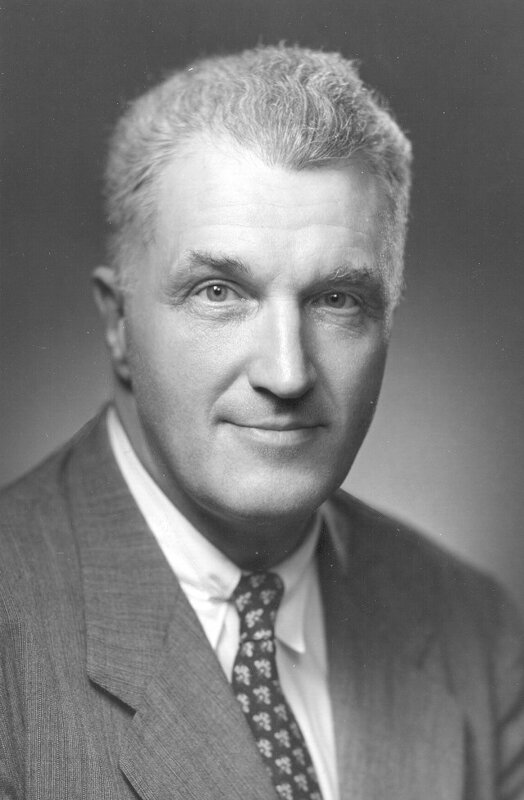 At the meeting of the Trustees on 14 May 1954, the Subcommittee on Education announced that the Educational Survey, under the direction of Dr. Joseph Willits, former Dean of the Wharton School and Director for the Social Sciences of the Rockefeller Foundation, would formally commence on 1 October 1954. The Fund for the Advancement of Education agreed to finance the ample project. 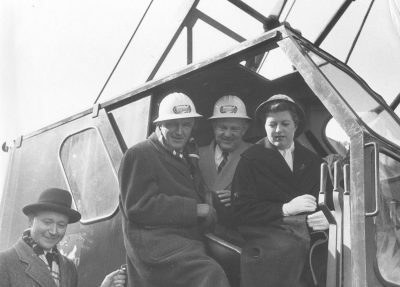 Over the next five years the Survey organized its comprehensive study into a series of stages: members of the Survey Committee created a list of questions; outside consultants drafted a report; faculty members reviewed and supplemented the consultants’ report; a faculty advisory committee received both reports and made further recommendations; the advisory committee submitted final recommendations to the President. Released in November 1960, Harnwell’s 1959-1960 President’s Report entitled, Assaying a University detailed this process as well as the findings of the Educational Survey. The Survey made recommendations for improvement in all areas of University study, including undergraduate education, graduate and professional education, and research. Generally, the Survey suggested that Penn move to codify undergraduate education at Penn by employing more systematized general education requirements in all schools and departments. In Assaying a University Harnwell specifically identified the Wharton School, the school of Education, the School of Allied Health, the School of Engineering, the School of Fine Arts, Nursing Education, Mathematics and Language. 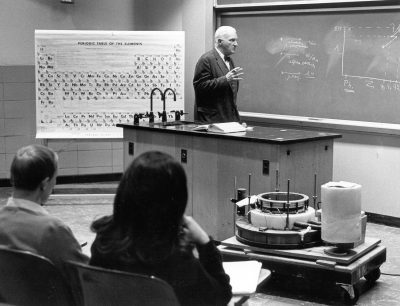 Harnwell strongly advocated a liberal arts curriculum. The Educational Survey also advocated increased funding for the betterment of quality, equipment, and facilities in graduate and professional programs, and in research. According to Harnwell, the Educational Survey also studied human relationships at Penn and their effect on the quality of education. He explained that the Survey strongly supported increased interaction between all the members of the Penn community. Students, faculty, and administrators all needed to work together for the good of the University. As a result, the Survey favored improvement in faculty-student advising, increased input from faculty members in financial decision making, and monetary awards for superior teaching efforts. The Educational Survey served as an impetus for a complete overhaul of Penn, and thus, prompted further development planning during the Harnwell era. In February 1960 a Program for Integrated Development was adopted by the Trustees. The subgroups associated with the Integrated Development Committee analyzed educational planning, physical plant growth, operating levels, and pending development efforts. The Integrated Development Plan picked up where the Educational Survey left off by proposing educational plans and physical expansion that would transform Penn’s federation of disparate schools and programs into one large unit. The final report of the Integrated Development Plan, completed in April 1962, included extensive plans for educational and physical development, as well as financial projections for those initiatives. 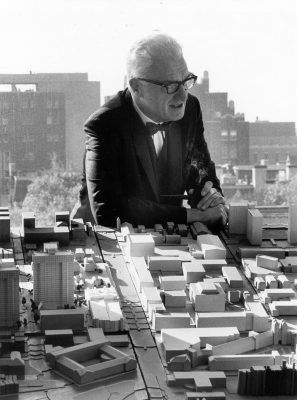 Harnwell explained the purpose of those initiatives in his own publication concerning the Integrated Development Plan, From Here to 1970: A Digest of the Integrated Development Plan. In relating the objectives of the University, Harnwell listed the following priorities: the urban setting, the students, the undergraduate schools, the campus community, student climate, general education, education for women, the gifted student, the graduate schools, adult education, the faculty, the educational facilities, the larger community, educational pioneering, and continuous planning. Harnwell’s dedication to these priorities prompted the completion of massive building initiatives at Penn, during the 1960s. The Integrated Development Plan also became the framework for financial planning at Penn during the 1960s, insofar as the ambitious programs required the University to go in search of new sources of funding. In April 1963 the Executive Board of the Trustees announced a $57 million goal for the first stage of a Capital Campaign to be implemented throughout the rest of the decade. Fundraising efforts initially consisted of soliciting donors from a number of specialized groups, including a Trustee Nucleus Fund, an Alumni Nucleus Fund, a National Council that cultivated top alumni prospects, and annual giving. In May 1964 the Trustees decided to combine fundraising efforts for both non-medical and medical development; by the fall of 1964 the Trustees had re-titled the Capital Campaign, “The University of Pennsylvania Development Program,” increasing the goal to $93 million. The January 1965 issue of The Pennsylvania Gazette, the alumni magazine for the University, reported on the Development Program in “‘The Best years Are Just Ahead’: Pennsylvania Announces a $93 Million Capital Campaign.” The Trustees steadily accumulated funds, while also completing building projects on campus. The Campaign proved enormously successful; by December 1968 total receipts for the Capital Campaign exceeded $96 million. Not only did Harnwell tackle educational, physical, and financial development, but he also concerned himself with the bureaucratic structure of the University. Harnwell’s decision to reform the system of governance reflected his desire to turn Penn into a “single community of learning.” A Task Force comprised of students, faculty members, administrators, and Trustees conducted a study of legislative composition and procedure during from 1968 to 1970. They focused on issues such as legislative function in making educational policy decisions, the role of the Trustees, decentralization, and student participation. In its Report of the Task Force on University Governance issued in the fall of 1970, the Task Force recommended the University create a University Council, Senate, and Student Government. The Task Force also added a number of positions including: two assistant provosts, a senior vice president responsible for all business affairs, associate deans, a new Academic Planning Committee, and new student representatives. These new positions furthered communication between the various constituencies represented at Penn. The Harnwell years at Pennsylvania are recognized as the watershed in the University’s development from a regional university to a major national force in research with worldwide outreach. His administration was the time of the deliberate diversification of the student body to include students from all walks of life; of dramatic changes in faculty hiring… and of the founding of the University Senate and later of other mechanisms that brought consultative groups together. Physical expansion alone was monumental. The Harnwell administration gave the University a complete overhaul that set in motion its ascendancy to one of the top institutions of higher learning in the world.